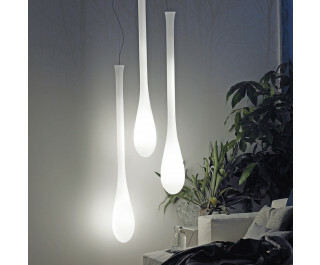 The Lacrima pendant light by Vistosi has been designed by Paolo Crepax 2003. This design was created in glossy white blown glass modeled with the free-hand technique. This is a subtle, striking centerpiece that will enhance and decorate any room. This beautiful light was handcrafted on the island of Murano.